Become a swimwear tester with Etam. Here is a new cushy job: test swimsuits for three weeks in Hawaii. The lingerie and ready-to-wear brand Etam is launching a competition for the “best job” of the summer. The idea? To “life-test” its range of swimwear and why not earn three weeks of dreams on one of the most beautiful islands in the Pacific Ocean. Qualifications? Be dynamic, athletic, attracted by fashion, have initiative and always cheerful. Ten young women will be selected by June 28th and the winner will be declared on July 1st. Once elected, the program is quite simple: 21 nights at the Wailea Beach Marriott Resort & Spa, a 4 star hotel, and Paris-Honolulu flights will be taken care of, and then all is left is to test the new Etam swimwear collection in exceptional circumstances. So many activities to do in a swimsuit. Yeah – the best job ever. A new Emirates business lounge at Roissy. Emirates airline has launched a new high-end dedicated lounge for its Business class passengers at Roissy Charles de Gaulle airport. 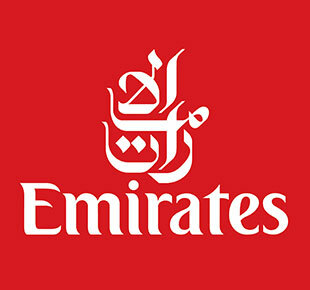 Offering completely renovated design and facilities, this area is now home to the Platinum and Gold members of the Emirates Skywards loyalty program. As an extension of this renovation program, the new, more central space is located between terminals 2A and 2C and offers easy access to passengers with a clear view of the runway. An ideal place to relax or allow fans to watch and enjoy the incessant ballet of planes on the tarmac. 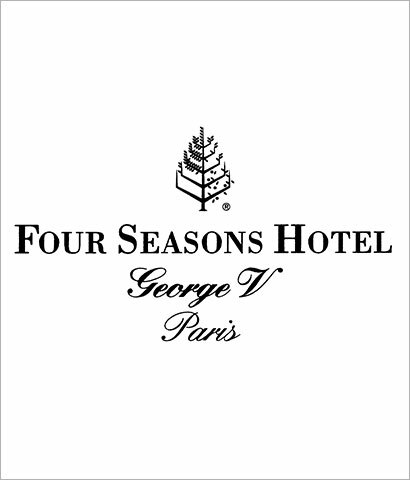 Cultural jogging with the Four Seasons George V.
The Four Seasons Hotel George V is sharing its passion for Paris, the city of light, and offering its clients the opportunity to take part in the ultimate sport – cultural jogging. The original idea came from two executives at the hotel, accomplished athletes and amateur runners wanting to show guests their city in a different way…by running! Over a distance of about 9 km, traveling through some of the most beautiful area of the city, guests can join in on the pleasure of the sport and the discovery of Paris. Voluntary departure from the hotel is in the morning, so as to enjoy the magic of the waking day, the special moment when Paris is still asleep and all its beauty is there to see. Runners are supervised by the hotel staff, who are happy to help them discover “their” Paris and share with them the unique spectacles on offer such as the Eiffel Tower, the Seine, the Tuileries, the Louvre, the Place de la Concorde and the Champs Elysées when Paris is only just waking up. For its opening, the White 1921 in Saint-Tropez reopens with a champagne bar and chic tapas, as a prelude to the tropéziennes nights to come. After boules, this year the property located on the Place des Lices is selling a limited number of handmade panama hats, packed in a stripy canvas bag. Ideal for the Mediterranean sun. 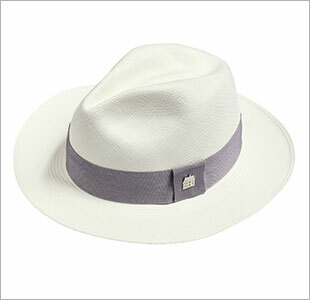 Available in three sizes (M, L and XL), the panama will be sold exclusively at White 1921. 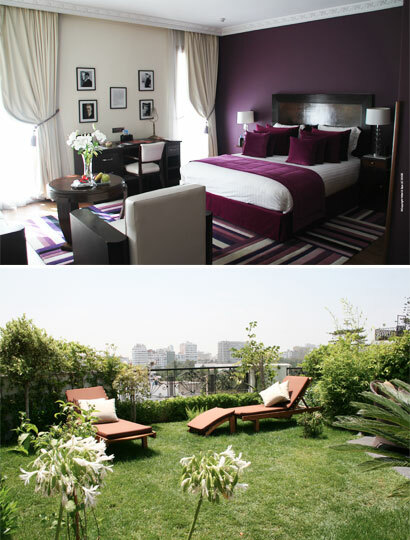 The Hotel & Spa Le Doge, a Relais & Châteaux conscious of its environment in Casablanca. Housed in a mansion from the thirties, the sixteen rooms and suites are named after famous artists of that era and celebrate the Art Deco style of the district. Each room has a different decor inspired by the characters it evokes. With a restaurant, a spa with a hammam and a rooftop garden overlooking the Arab League park -one of the finest in the city – the hotel that has been restored for three years by a Franco-Moroccan couple is a privileged place in the heart of the White City. The hotel has installed solar panels to provide hot water and a system for processing fats and used cooking oils in an environmental approach to preserve resources. Qatar Airways Terminal in Doha named «Best Premium Airport Service». 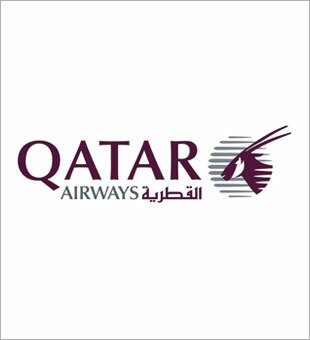 Qatar Airways was once again named in the latest Skytrax 2013 WorldAirport Awards. For the third consecutive year, the Premium Terminal at Doha International Airport was named “Best Premium Airport Service” due to the excellent quality of its five-star service. Opened in 2006, the Premium Terminal was the first terminal dedicated exclusively to passengers of First and Business Class. Its exclusive services include different gourmet restaurants, a luxurious spa, business centre and a nursery offering an exceptional experience for transit travellers. During the same ceremony, the Oryx Rotana Hotel – owned by Qatar Airways – has won the title of “Best Airport Hotel in the Middle East” for the second time. This success has propelled the 5-star hotel from 10th to 3rd place in the world ranking of airport hotels. «Les 1000 lieux qu’il faut avoir vus dans sa vie». 3 million sold copies worldwide since 2003, the new colour version of this bestseller has been released. The only comprehensive guide that combines all the most beautiful sites in the world and the best advice, this piece of work is a guide to travel around the world revisited. From African safaris to Buddhist temples, passing by pristine beaches, botanical gardens and historical monuments, the joy of the journey is expressed throughout its reading. For this new edition, each site was revisited and reassessed, complete with new addresses of restaurants, hotels, and festival dates. 97 new addresses in the Châteaux & Hôtels Collection. The new edition of Châteaux & Hôtels Collection unveiled its selection of boutique hotels and remarkable restaurants. Among the new features to be found in the paper edition and on the new website, 97 new addresses including more than 10 designs, two new destinations (Maldives and Mauritius), a unique selection of 265 outstanding places to eat including a new gourmet destination, the Netherlands, with two restaurants and a beautiful presence in Italy with 33 addresses. To accompany the launch of the 2013 collection, Châteaux & Hôtels Collection invites you to discover its new website. And because each trip is unique, chateauxhotels.com now offers the option to customize your room booking by adding, for example, a fruit basket, a bottle of champagne or even a cot. The site is also available on smartphones and tablets and booking can be completed in just three clicks. 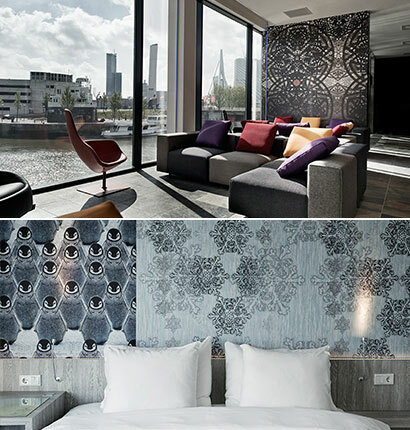 Mainport, the first Design Hotels in Rotterdam. As far as views go, the Mainport offers a breathtaking view of Rotterdam, the largest port in Europe. With its large windows that surround the building that houses 215 rooms, customers can see and feel the vibrancy of the harbour with stunning views of the famous cables of the Erasmus Bridge. Here, well being is a recurring theme and most rooms have facilities usually reserved for spas, like giant hot tubs overlooking the city or a private Finnish sauna. For the diehards, the Paradise Spa invites you to discover the sensual Turkish hammam. To access the Mainport, guests can opt to take a water taxi from the hotel’s private pier. 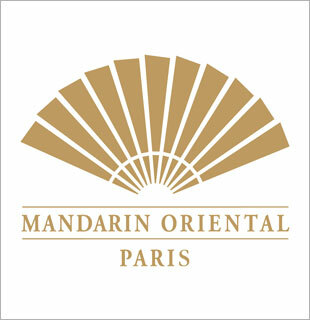 Well-being news of the Mandarin Oriental. Vitamins and antioxidants for breakfast “Delight” at Camelia restaurant in Paris. Created four hands by Thierry Marx and Liliane Israel, French naturopath, this full breakfast can be enjoyed by following a specific protocol, first lemonade and pomegranate juice, followed by raisins. Ten to fifteen minutes later, mango mousse, seasonal fruits, nuts, almonds, bread and cottage cheese dipped in olive-oil- delicious mix- and finally salmon and vegetables presented in a Bento box to enjoy on spelt wheat pancakes, along with tofu. It takes at least half an hour to properly follow the protocol. 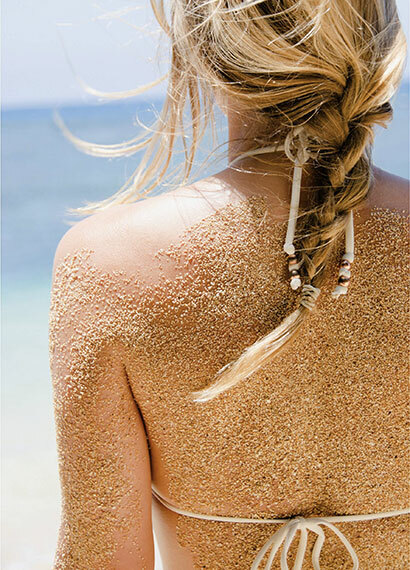 A way to take your time and be pampered until the sunny days! Uber at the Cannes Festival. 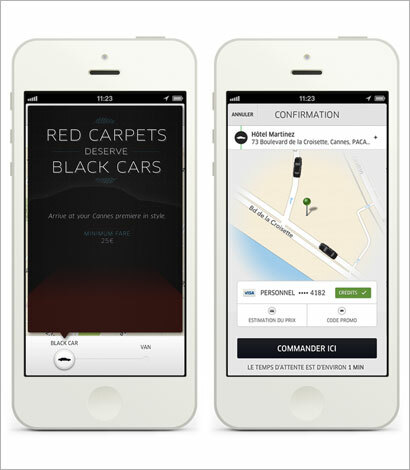 The Private Driver Uber application will be at Cannes until May. It joins the Festival for the Funds fighting against cardiovascular disease, The Heart Fund created by Dr. David Liu, pediatric cardiac surgeon and will donate one euro per user. In the process, it will be part of the Generous People gala on May 21 and will redistribute ten euros per user going to the event using an Uber car. Donations will be used to build a hospital in Haiti, the training of the medical staff and funding surgeries for children to prevent heart diseases. Downloadable on smartphones, very easy to access and to use, the service of private cars is available in forty international cities and since December 2011 in Paris. For on month in Paris, it has also been offering a service picking taxis to complete the range of sedans and motorcycles. 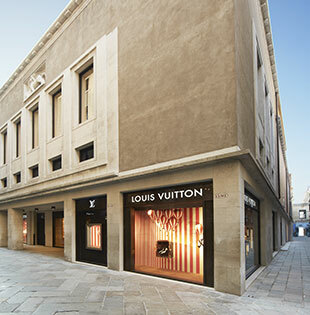 Louis Vuitton Maison Venezia opens its doors. There is a new temple of luxury opening in an idyllic setting, just steps away from the Piazza San Marco, in the heart of the city of the Doges. Venice has always been a source of inspiration for Louis Vuitton who, from the beginning, has maintained close links with the art world. The new store, located on four floors of a former cinema, doubles as an art exhibit. Louis Vuitton has an agreement with the city to show rare pieces put into dialogue with a modern perspective. The first exhibition of the new Espace Louis Vuitton, located above the shop, will be the Death of Othello, the sacred painting by Molmenti (restoration was funded by Louis Vuitton), supplemented by a video installation by Tony Oursier that made him the talk of the town for a while, Where are we now?, the comeback clip about David Bowie. La Cour des Senteur, a sensory journey to Versailles. The big luxury brands, elegant jus, a royal city, such is the cocktail of the new perfume dedicated to the greatest place in the world. Located just steps from the Château de Versailles, La Cour des Senteurs is an original concept designed as a journey of the senses to discover the art of perfume. 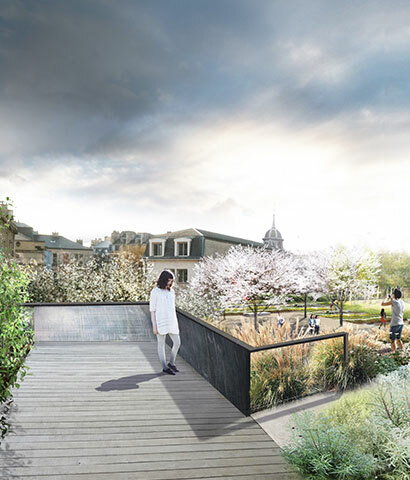 La Maison des Parfums, a performance space designed by architect-scenographer Philippe Pumain, in collaboration with Elisabeth de Feydeau, a fragrance historian, opens as the Jardin des Senteurs. Designed by landscape architect Nicolas Gilsoul, it includes cabinets of curiosities to learn the language and fetish materials of perfumers, botanical collections and whacky walks in the theatrical world of fragrances. At the heart of the Court, la Place des Senteurs welcomes four great names of French luxury: Guerlain, Lenôtre, Diptyque and Maison Fabre. Bento box and designers sunglasses at the Royal Monceau. 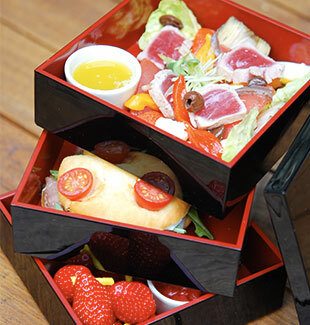 To celebrate the reopening of its terrace, the Royal Monceau is presenting its new bento box. Inspired by his recent collaboration with Nobu, Chef Laurent André created a box to satisfy the desire for freshness and lightness. With a choice of three starters, three main courses and three desserts created by Pierre Hermé Paris, they have designed the perfect menu served at all once, but in three stages in pretty boxes painted red and black. In addition, in partnership with the hotel’s concept store, Le Royal Eclaireur, a selection of complimentary designer sunglasses will be offered on the terrace for those who want it. Linda Farrow, Dries van Noten, Matthew Williamson, Alexander Wang and even Jeremy Scott, for a glimpse of the jet-set take the time for a break in the sun. Montevideo, a new Air France destination. Air France continues to expand its long-haul international network, the largest in the world from Europe with a new destination in South America, Montevideo. 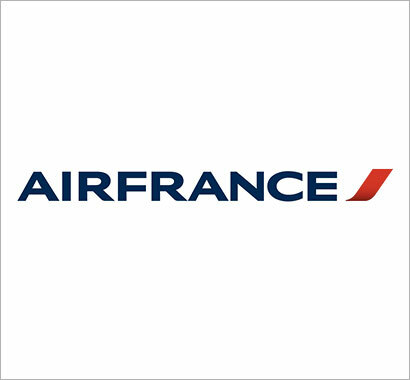 Air France now serves the capital of Uruguay, with five flights per week, extending the connection to Buenos Aires, Argentina. For the summer season 2013, flights to Montevideo will be operated on Tuesday, Wednesday, Thursday, Friday and Sunday from Paris-Charles de Gaulle. The airline is also offering previous generation cabins with the “full sleep” seat in business class – one of the most spacious and comfortable beds on the market – for its France to Uruguay passengers. «Passengers», the cities of Jean-Pierre Favreau. 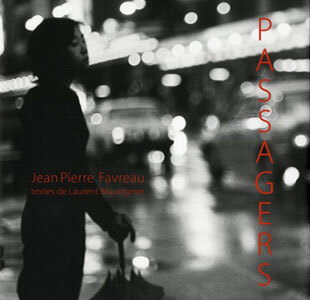 A tireless traveller, for thirty years the photographer has cast his lens on man in his urban wanderings, capturing “that moment of forgetfulness”, as defined by Laurent Mauvinier who penned the text for this beautiful book. «The time for a man to disappear behind a cloud of cigarette smoke (…) that moment where the gaze is lost, and turns like a glove towards an interior monologue where it dissolves.». Photographs by Jean-Pierre Favreau echo the silence at the heart of urban noise, from the loneliness to the frontiers of clarity and the obscure. Another tome devoted to the big cities. «Bonjour Paris», to (re)discover Paris chic. The lost travellers eager to explore the Paris of refinement and elegance, aesthetes, dilettantes and amateurs of good French taste, this guide is for you. This premier orientation manual, furnished with an illustrated folding card with a list of more than 75 unusual addresses is the perfect size to slip into the bottom of ones pocket. Divided into six districts, Bonjour Paris is like a treasure hunt, to make every tourist a true Parisian and every Parisian a surprised tourist. 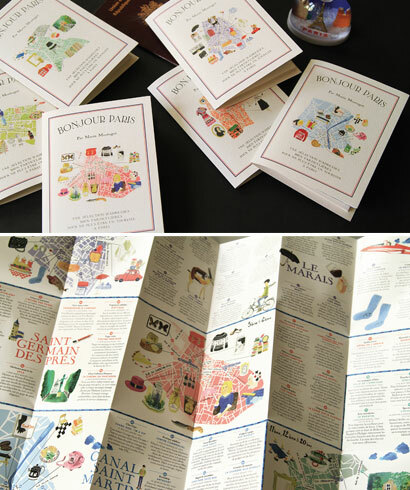 Recently put together by Marin Montagut, dreamer, storyteller and traveller, forever dissatisfied with the ordinary tourist maps, this guide of another kind is decidedly bold, quirky and full of addresses that are normally preciously guarded by a local. From the gourmet restaurant nestled deep in Ménilmontant, to the artisan cutler and the perfumer from Florence, there is nothing not divulged from the secrets of the capital. Caroline on display at The Bristol for her 60th birthday. For the 60th year of the “little modern girl”, thirty couture and ready-to-wear designers are having fun revisiting the silhouette of the character. 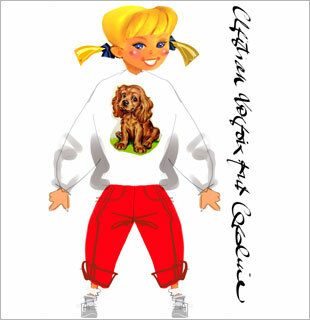 A petite blonde with pigtails, wearing a red jumpsuit and ballet shoes, Caroline enchanted generations of young readers around the world. Dior, Lesage and Christian Lacroix have therefore been given the chance to imagine new outfits, each the more elegant than the next for this small model like no other that is the subject of an exhibition at The Bristol, a mecca of fashion heart of the Faubourg Saint-Honoré. A chic fashionista birthday that will also see the reissuance of the first comic book, released in 1953, “Une fête chez Caroline” in its original format, available in limited edition. 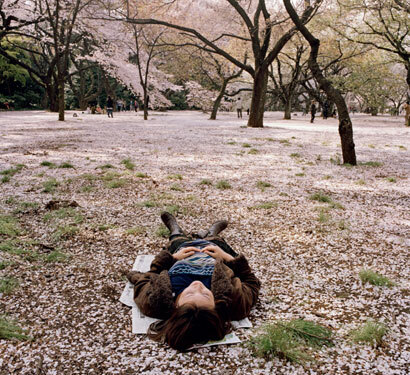 «Impressions of Japan», combining literature and photography. For this sensitive and poetic journey through Japan, a French photographer living in Tokyo and a Japanese writer gather their views that complement, echo and sometimes surprise one another. Chosen with Keiichirô Hirano, the some eighty photographs of Lucille Reyboz construct and punctuate a journey that begun ten years ago. They show us faces, rituals, unchanging landscapes and landscapes in the throws of transformation. The photographer draws, in his own way, an often poetic portrait of the archipelago and its inhabitants, with its traditions and modernity. The Road to Happiness by Relais & Châteaux. Who better than the owners, householders and chefs of Relais & Châteaux to assist in the discovery of their region? It is upon this observation that the first Route du Bonheur was born, along the National 7, in the 1950s. Today, true ambassadors of their region, there are 32 Routes that cover twelve countries. Between exceptional houses and unique experiences, the roads uncover an entire region. Relais & Châteaux has offered tailor-made road maps, country by country, specifying their layout, places to stay and, for each of them, the pages of the International Guide concerning that area. Better still, they enable travelers who want to define their own road connecting the houses of their choice one by one. 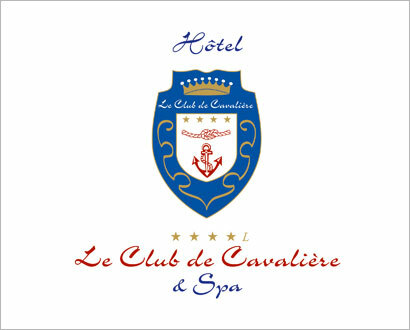 Summer opening of Le Club de Cavalière et Spa hotel. Like every year, after a winter spent in the cozy atmosphere of the Grand Coeur & Spa in Meribel, Marielle and Edouard Ruchti open Le Club Cavalière & Spa, on the Var coast. In the shadow of bougainvilleas, pines and fragrant flowers, this “water hotel” opens entirely on a private white sand beach, also accessible by boat. Its exceptional location at Lavandou and its calm elegance make this a kingdom sought after for its privacy. 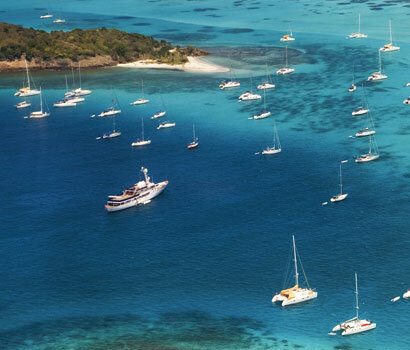 Le Guanahani & Spa reopens in St.Bart’s. After several months of work, the legendary St Bartholomew hotel unveils its new look. Nestled in the heart of the Caribbean Sea, on a private 6 acre peninsula, the hotel is a luxurious haven and its recent renovations have made it even more special. Twenty-two rooms have been renovated, expanded and modernized and now all boast an interior designed by Louis Pons. This aforementioned designer specially designed trunks trimmed with colored leather, new lighting fixtures and furniture tailor-made for the hotel. New private gardens have also been installed.